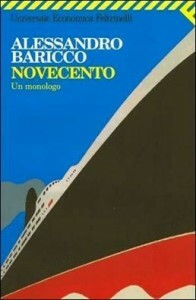 Our bookclub continues on Wednesday 20th April Calabrisella Cardiff 8.30 pm with Novecento by Alessandro Baricco. Come and join us! The bookclub will be followed by the screening of The Legend of 1900 by Giuseppe Tornatore Sunday 24 April at 7:30 @CafeJazz, 21 St. Mary Street, Cardiff. This entry was posted in Events, News and tagged books, Cardiff, Italian Cultural Centre, Italy, Wales. Bookmark the permalink.